More than 160 miners working for Mopani Copper mines have sued Stanbic Bank Zambia Ltd for illegal and exploitative deductions from their accounts and for illegally and unilaterally increasing their loan tenure from 5 to 10 years. 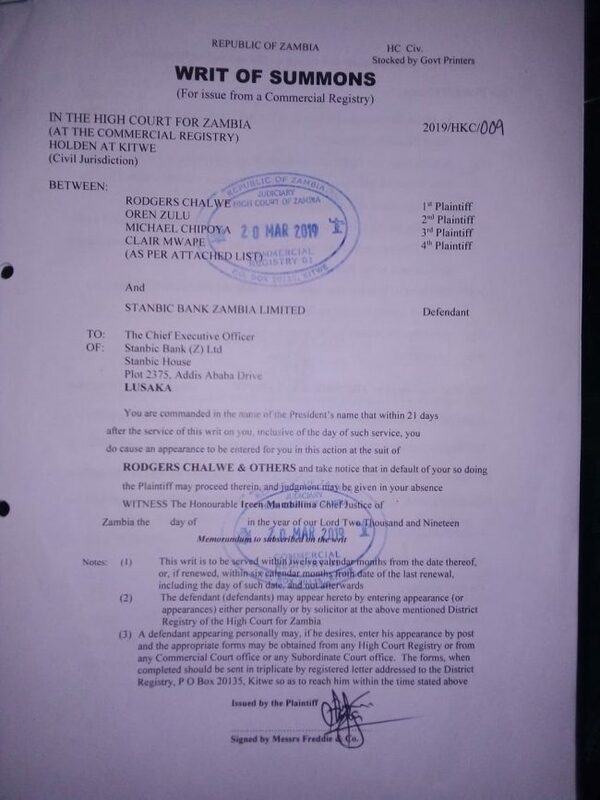 In a class action case, the miners have applied to the Ndola High Court for an interim injunction to stop Stanbic from deducting money from their salaries until the court decides whether the Bank is in order to do such deductions. In 2013/2014 Stanbic and Mopani entered into an agreement whereby stanbic agreed to provide scheme loans to Mopani copper mines employees. Mopani was obligated to deduct money from employees’ salaries and remit it to the bank. According to sources, Stanbic was selected to provide this financial service because it hoodwinked Mopani that it offered the most affordable and wide range of products. The interest rate at the time of signing the loans was 15% and the tenure ( period of contract) was five years. But barely 3 months into the loans contract, the bank unilaterally increased interest rates to the detriment of the miners. 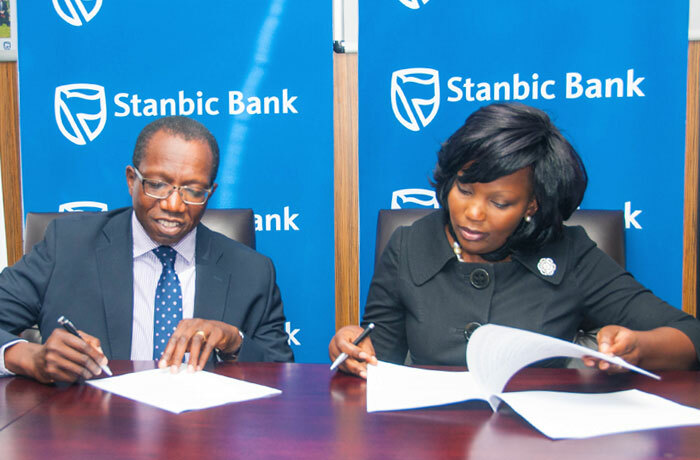 Stanbic continued with the variations (increments) of interest rates until they reached 40% from 15%. Mopani copper mines terminated the MOU following a misunderstanding arising from the bank’s upping of interest. The net effect of such variations was that the loan tenure changed from 5 year to 10(on paper) and might even be for life if not stopped, according to court papers seen by the Watchdog. Miners are therefore challenging the legality of such variations and have applied for an interim injunction pending determination of the matter.